Club is a practice ball with playing. Characteristics and quality similar to many competition ball..
Competition ball 40 mm seamless. Hand selected IITF Approved Box Content: Pack of 3 Table Tennis Ba..
Competition ball 40 mm seamless Hand selected. IITF Approved Box Content: Pack of 3 Table Tennis Ba.. 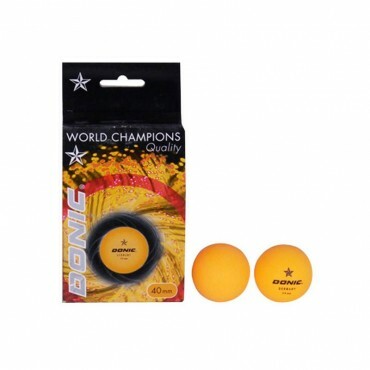 These one star table tennis balls are made of good quality. They last up to one to two weeks based on the type of play. They float in the air and spin really good. They can resist more smashes too. I recommend these balls for the beginners and intermediate players.